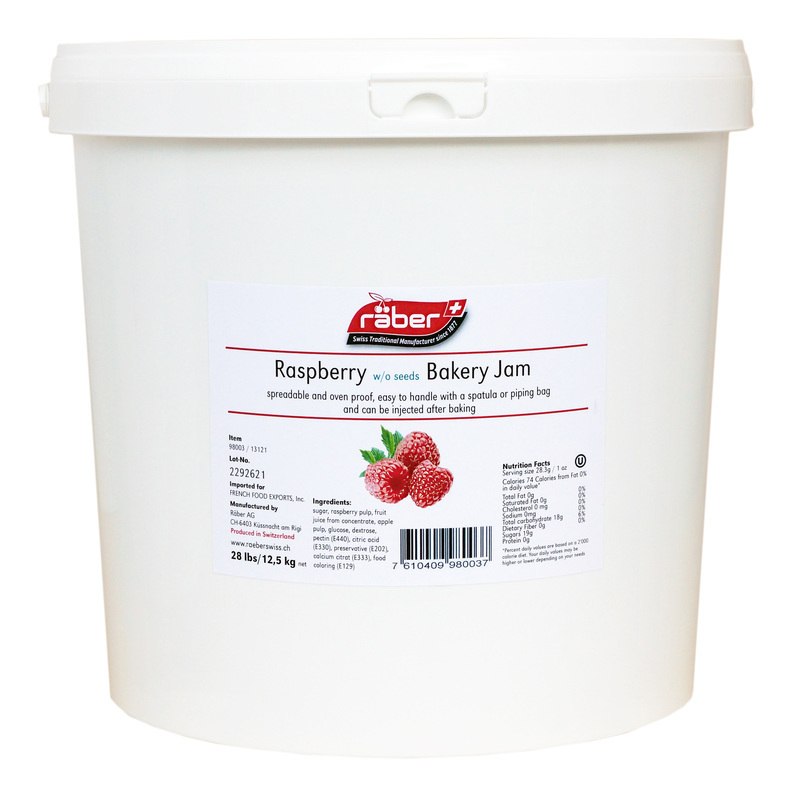 Bake & freeze/thaw stable Raspberry baking jam without seed. Fresh fruits with excellent taste as made with raw material of high quality. Smooth texture, easy to work with. Good oven stability. Sugar; Raspberry pulp; Fruit juice from concentrate; Apple pulp; Glucose; Dextrose pectin (E440), Citric acid (E330); Preservative (E202); Calcium citrate (E333); Food coloring (E129).